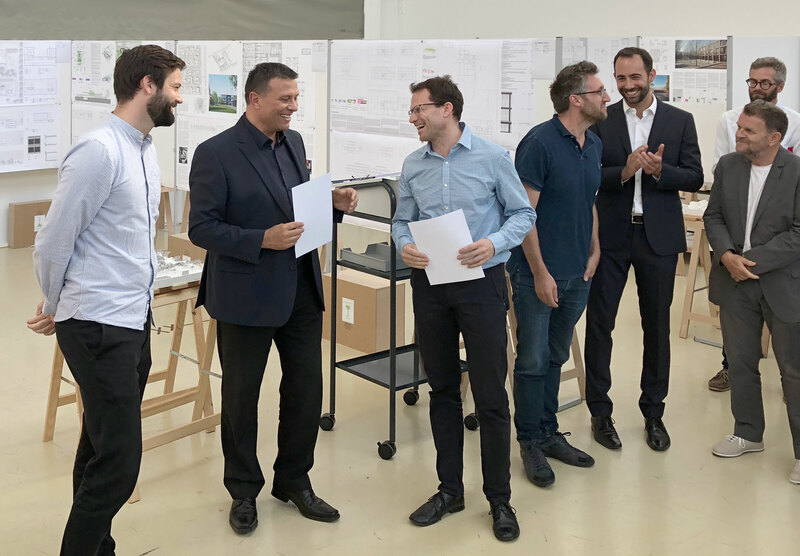 We did it: After the second place in the competition for the embassy in Beijing we won the first place for the extension of the chancellery in Singapore. 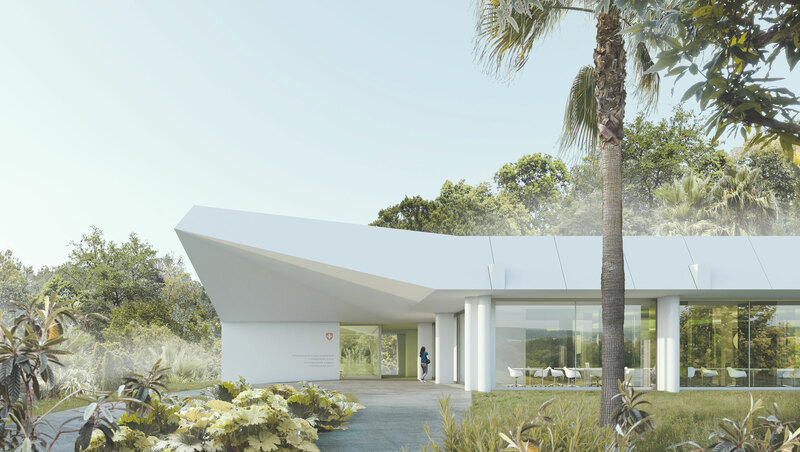 We are delighted that we will contribute to the official appearance of Switzerland. 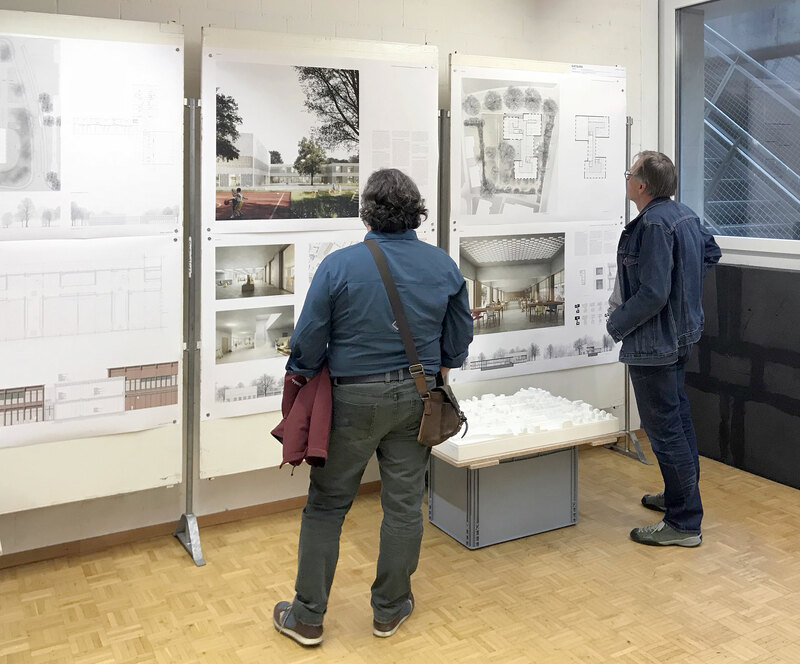 The new year started with another success in a competition. 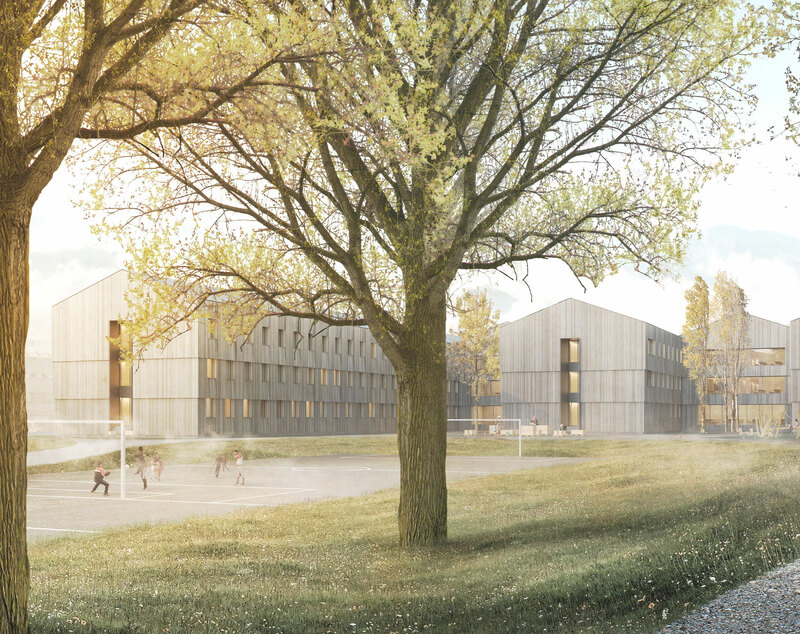 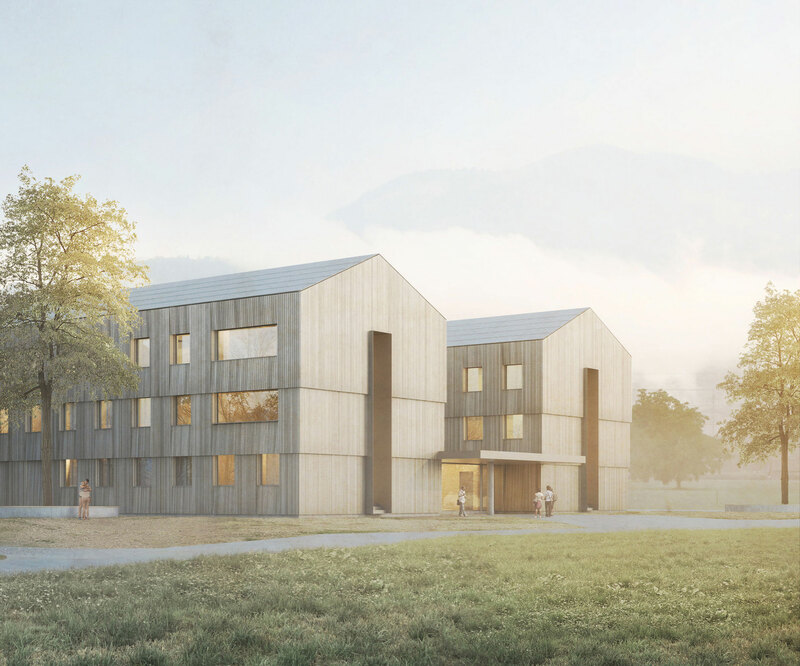 Our project “five houses” has reached the fourth place in the competition for a federal asylum centre. 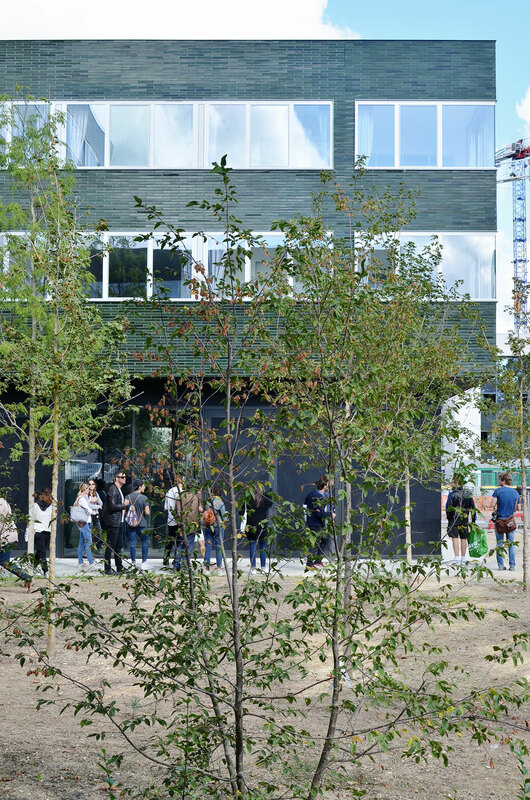 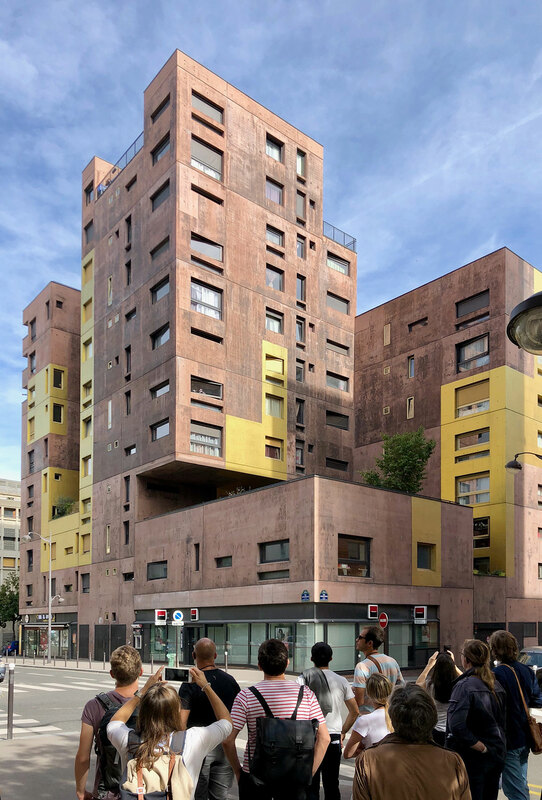 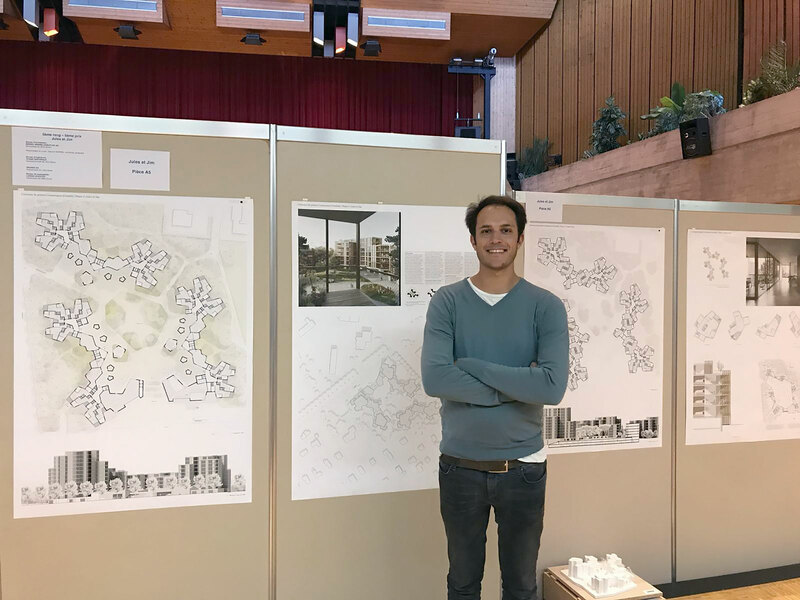 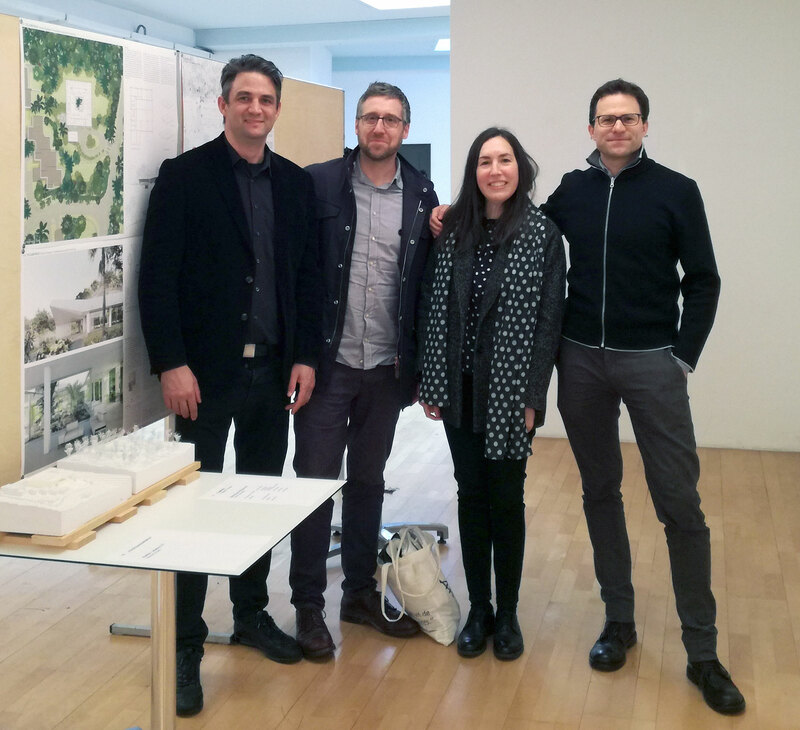 “Jules et Jim” together reached the fifth place in a competition for the urban development of two sites in Ambilly. 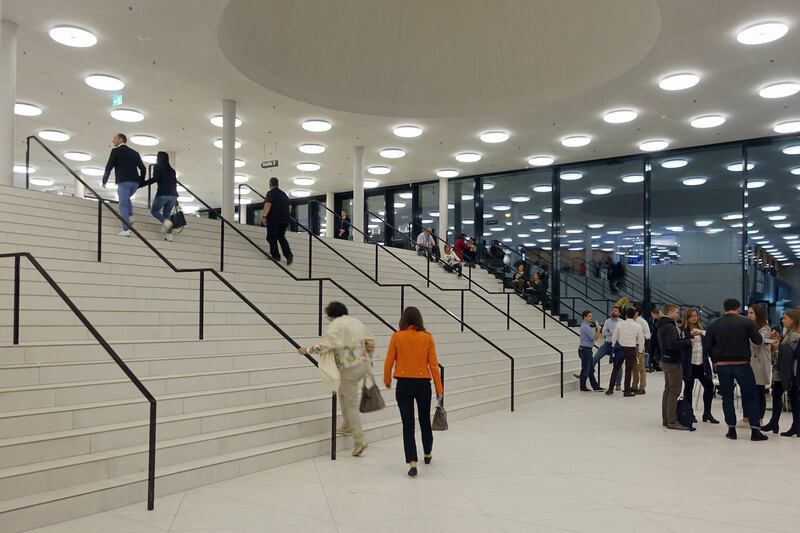 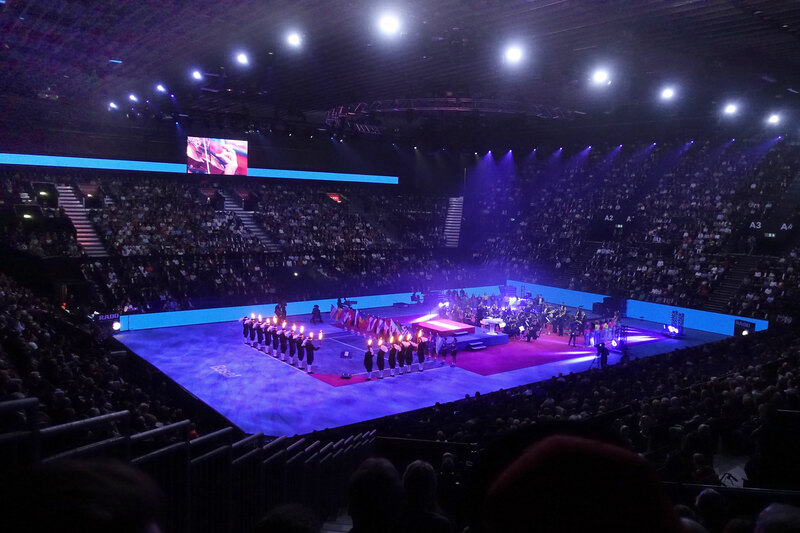 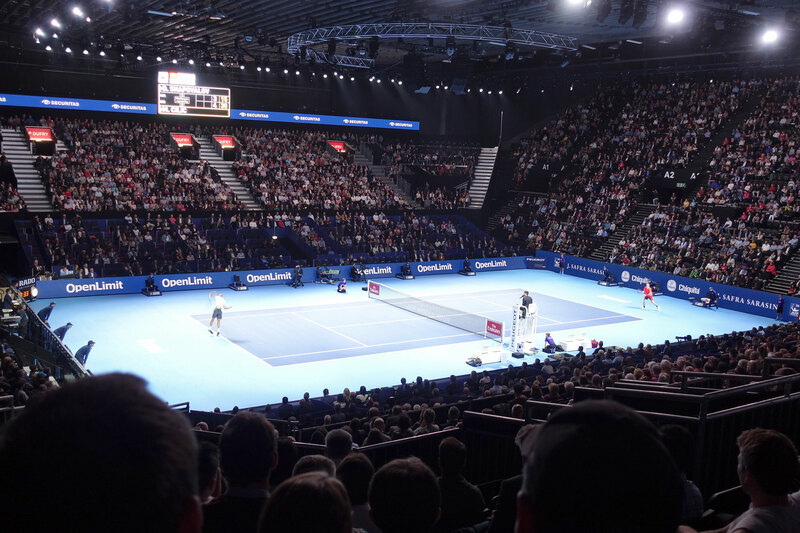 On Monday 22 October, the St.Jakobshalle was officially inaugurated during the opening of the Swiss Indoors Basel. 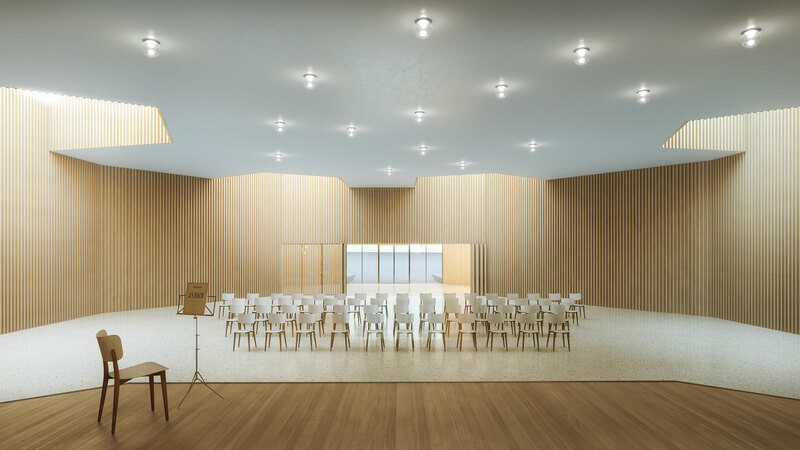 The last construction stage, the refurbishment of the hall, has now been completed. 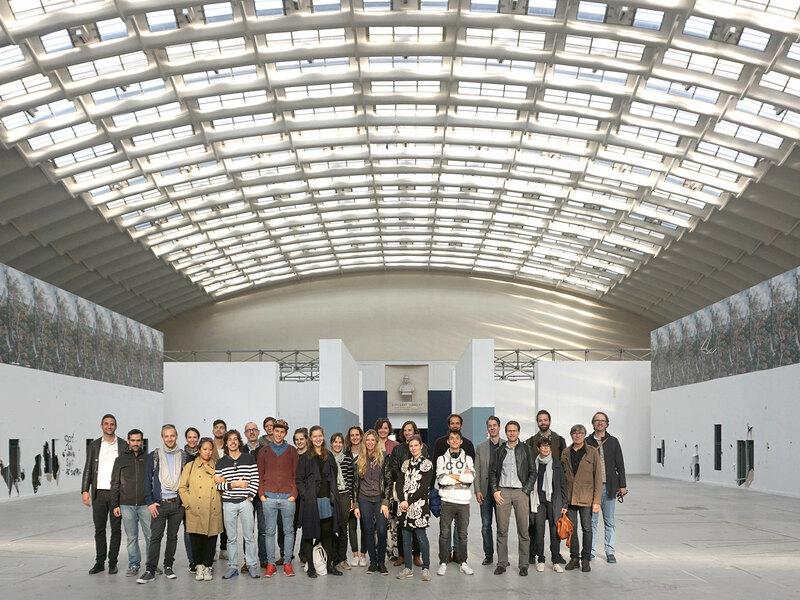 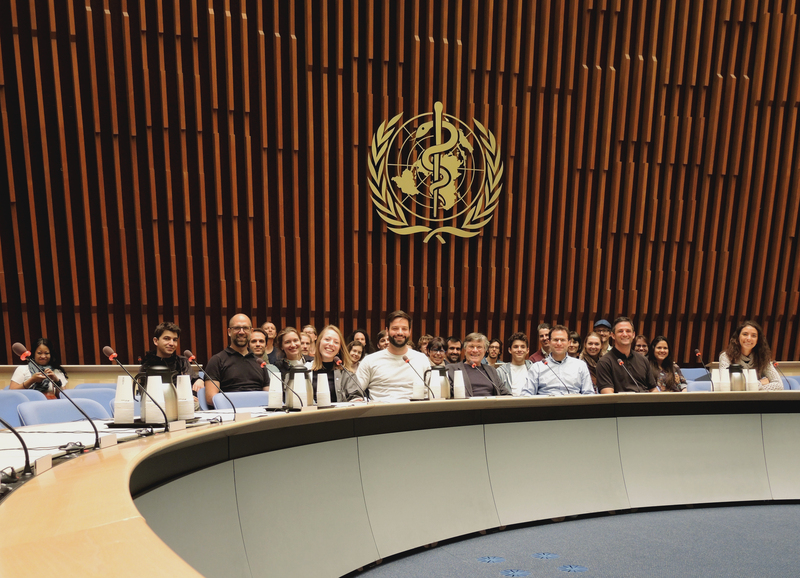 We would like to thank all contributors for their great commitment. 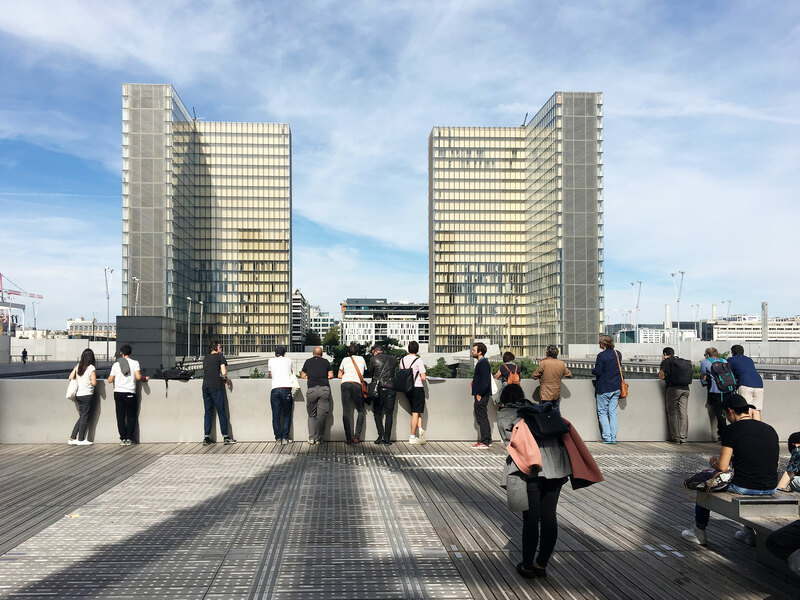 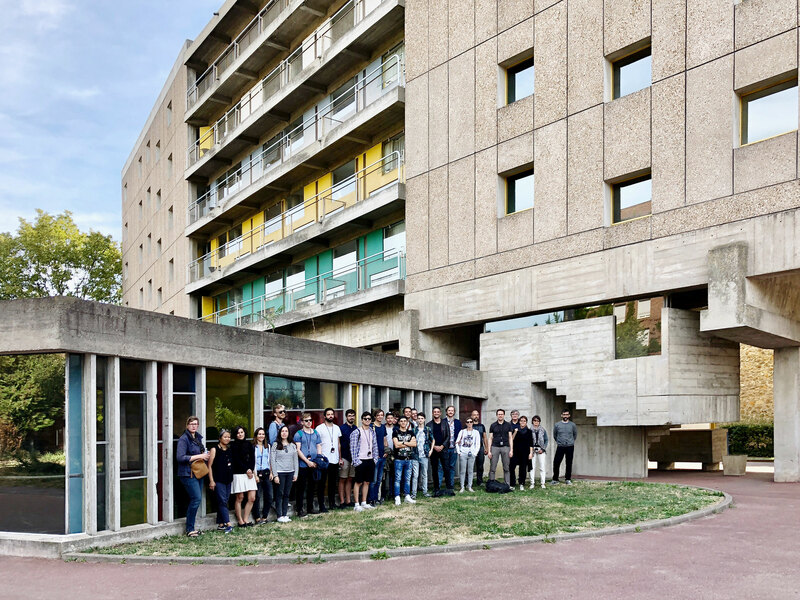 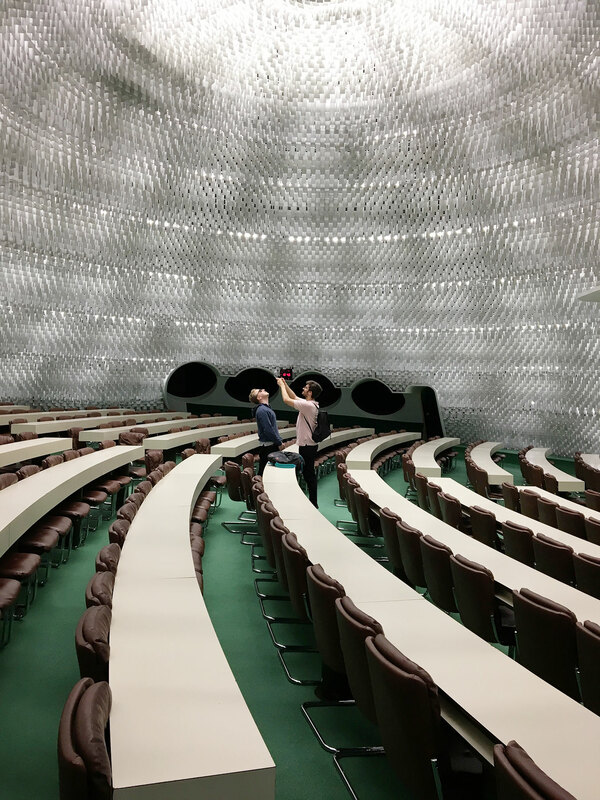 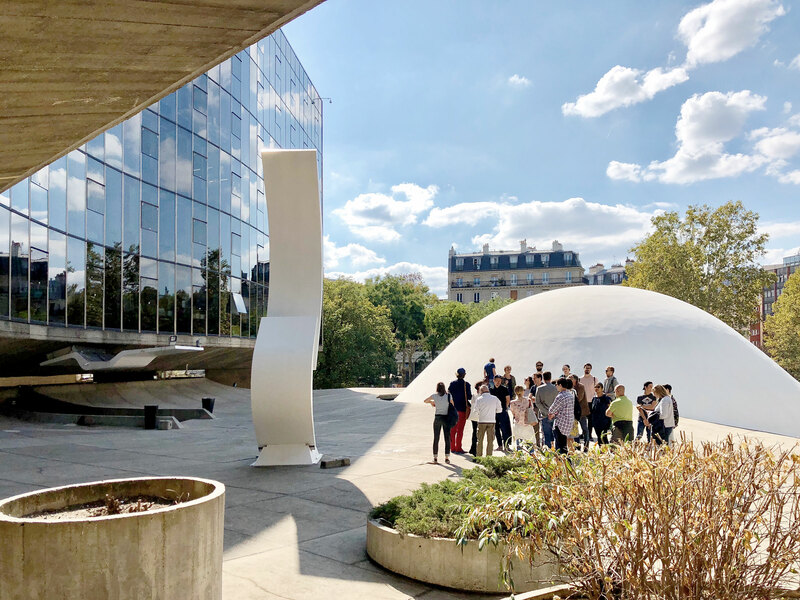 We spent a beautiful september weekend in Paris with Oscar Niemeyer, Jean Nouvel, OMA, Muoto, LAN, Le Corbusier, Beckmann/N’Thépé, Dominique Perrault and many more. 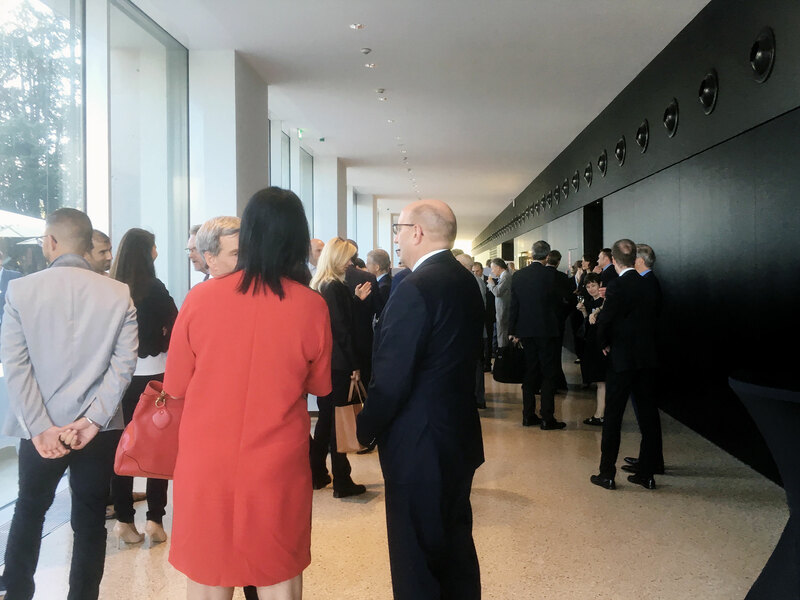 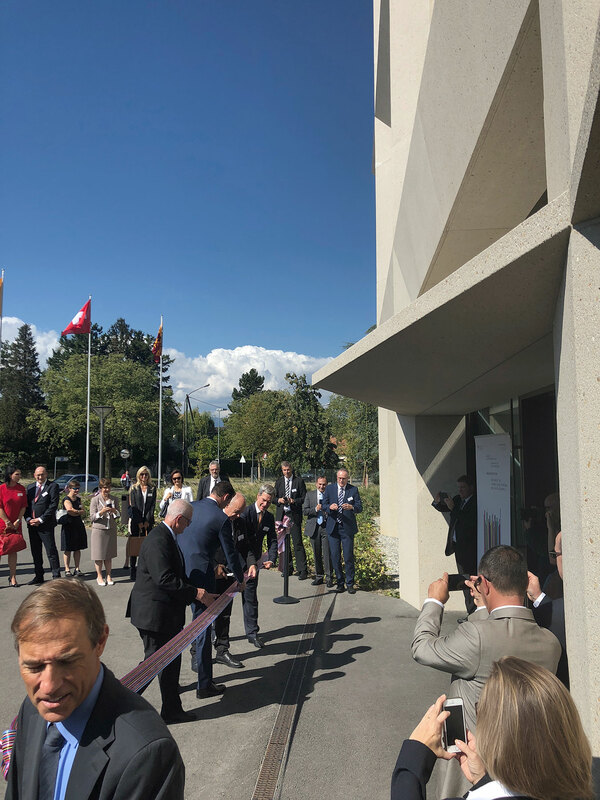 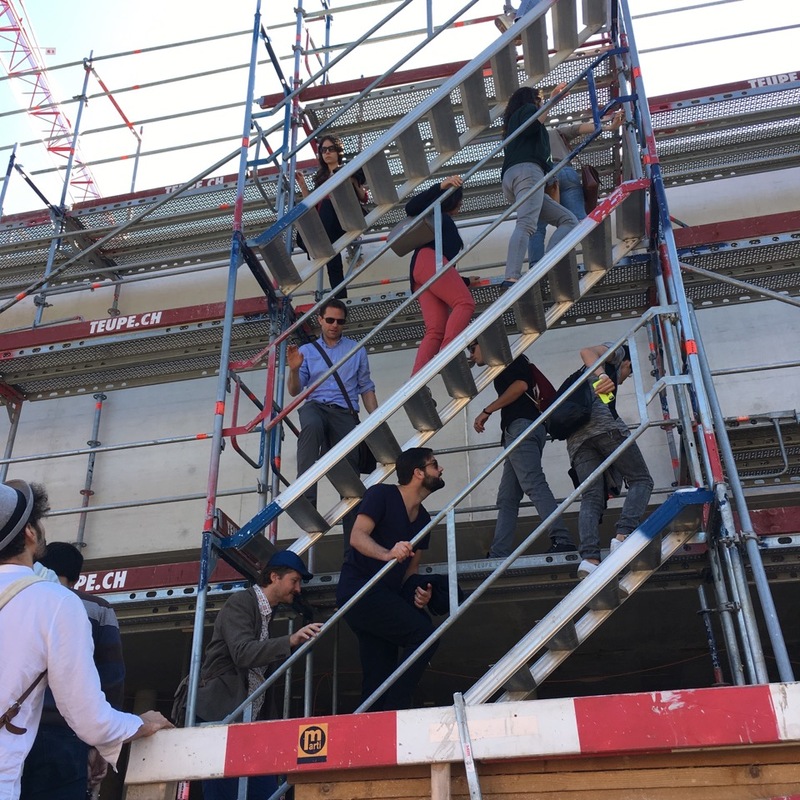 On 4 september 2018 the “building for federal counsellor Walther Stampfli” for the compensation fund of the OASI in Geneva was formally inaugurated. 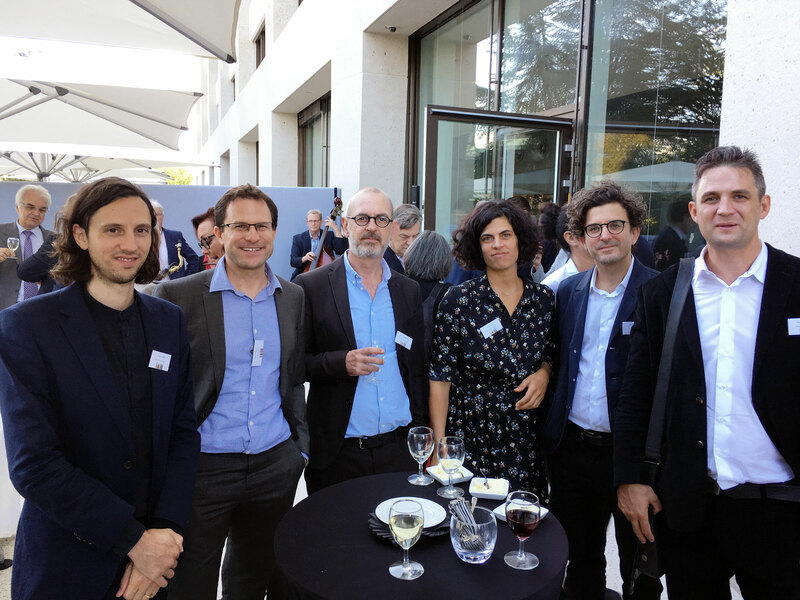 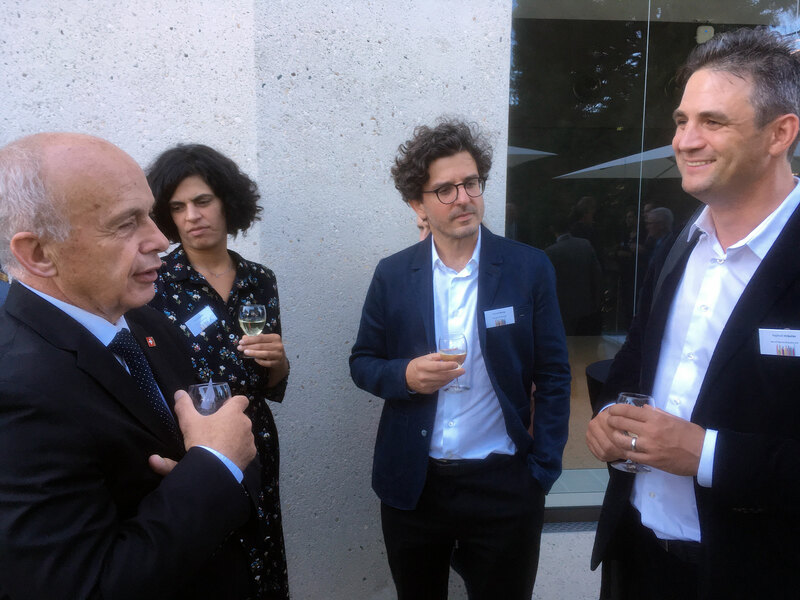 Federal counsellor Ueli Maurer cut the ribbon together with representatives of the governement, the fund and the compensation office Manuel Leuthold, Marco Netzer, Eric Breval, Pierre Maudet, Serge Gaillard and Christian Kuntzer. 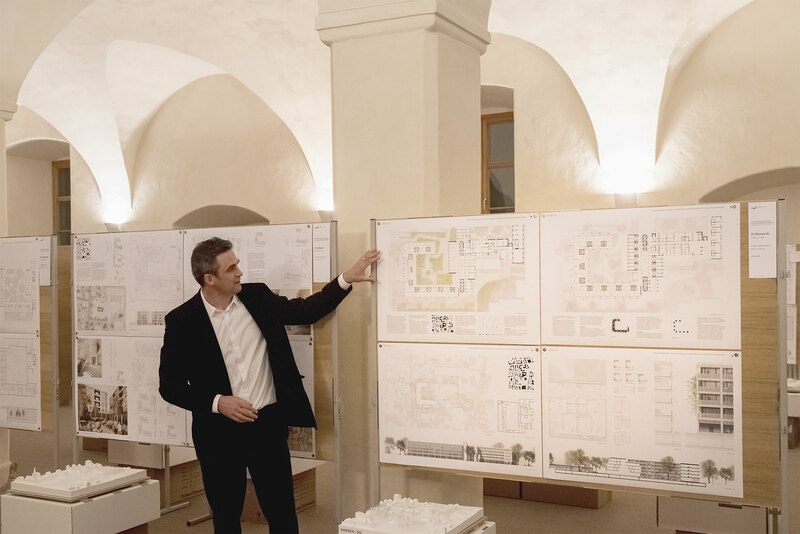 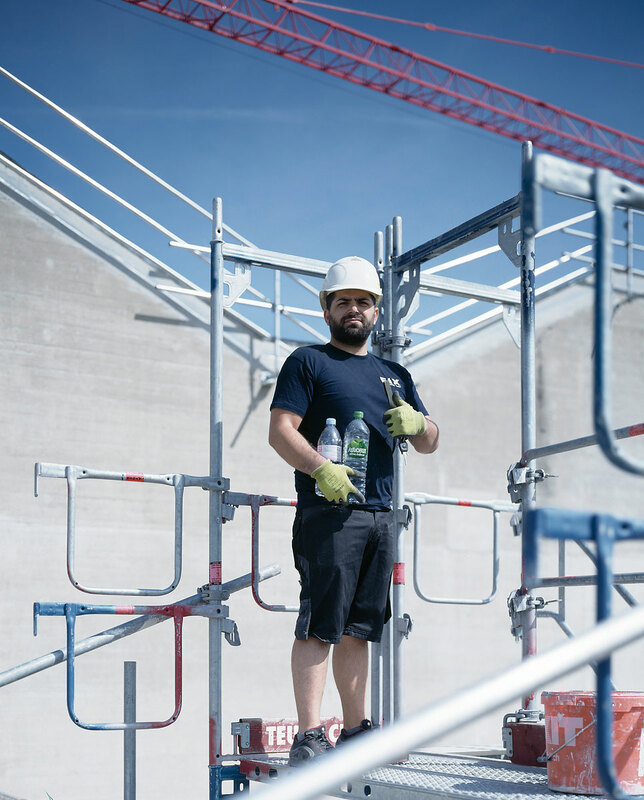 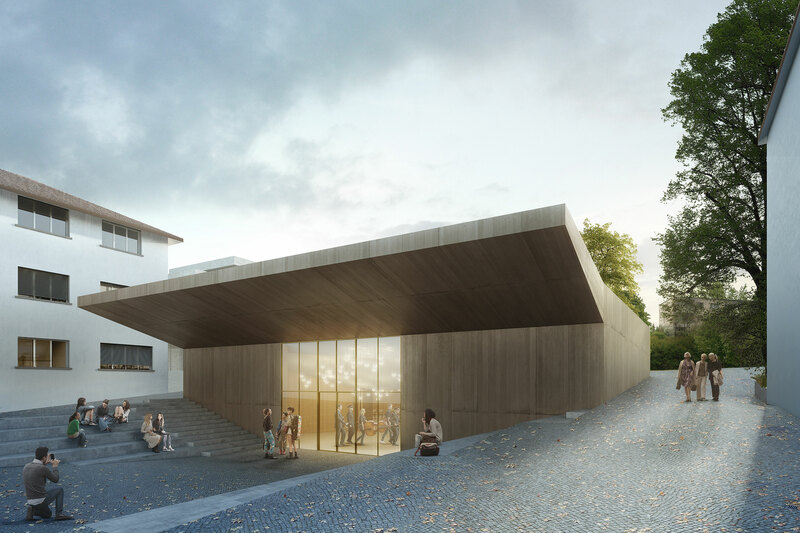 With our project “Dyade” for a community hall in Arlesheim we are celebrating another success in a competition. 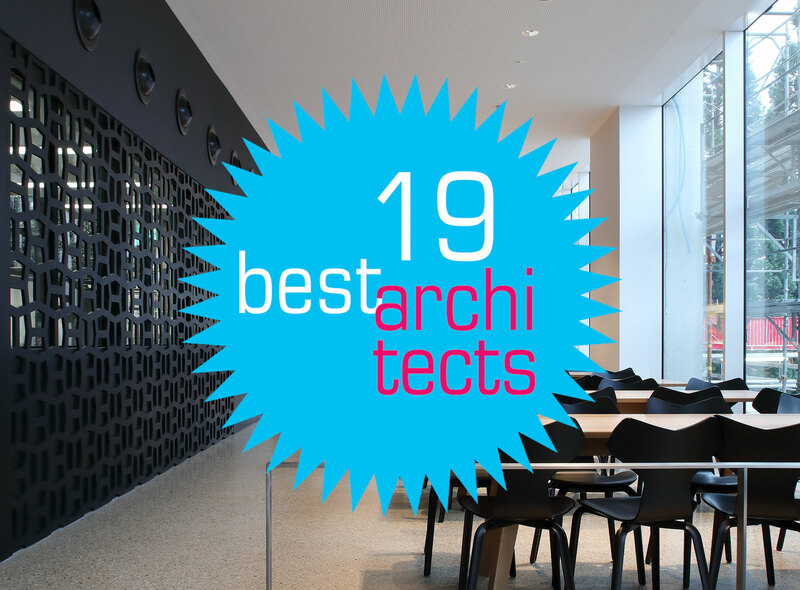 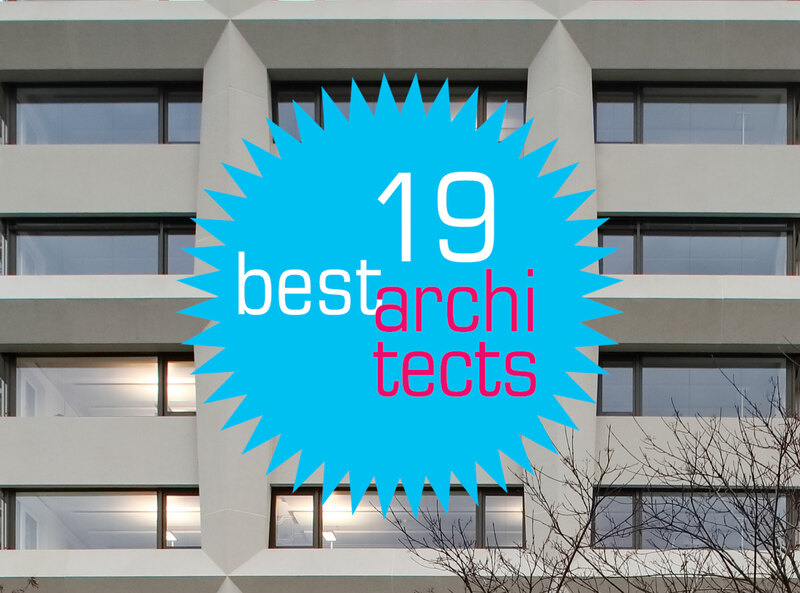 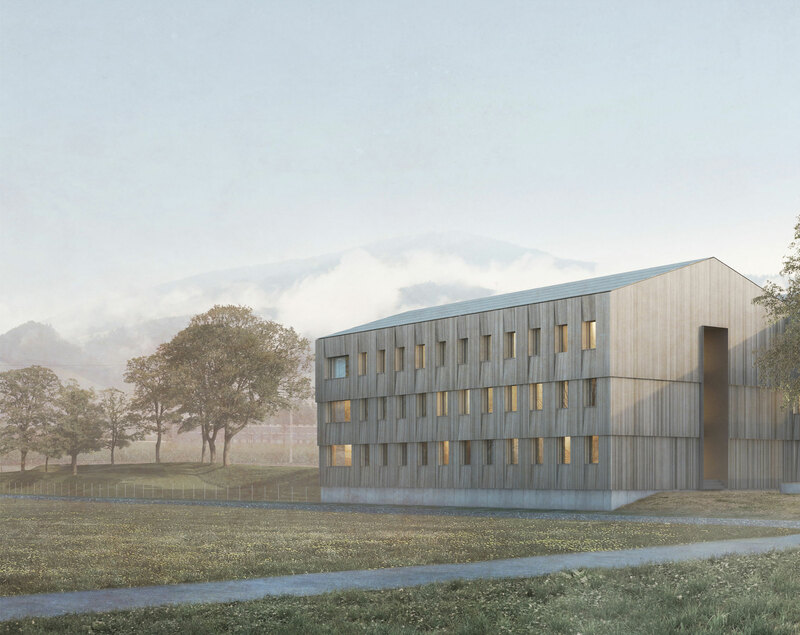 We are very happy about the award for our administration building of the OASI in Geneva. 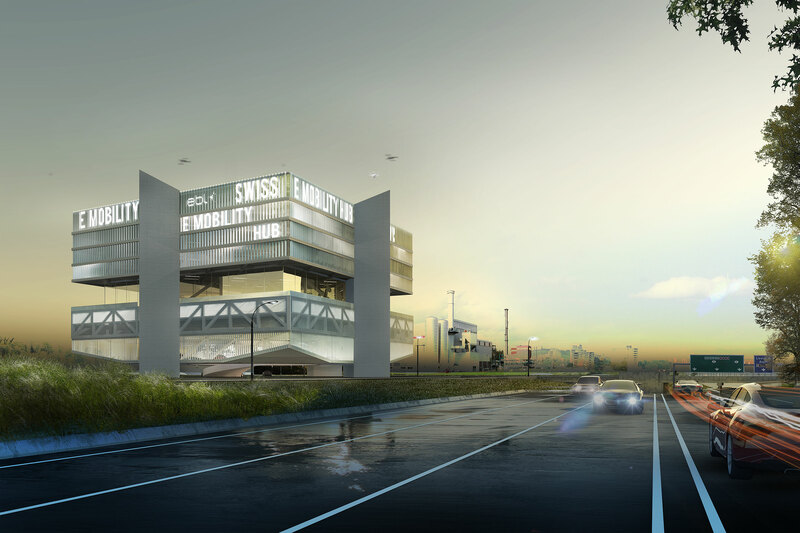 Our contribution for the Swiss Embassy in Beijing has reached the second place in the open competition. 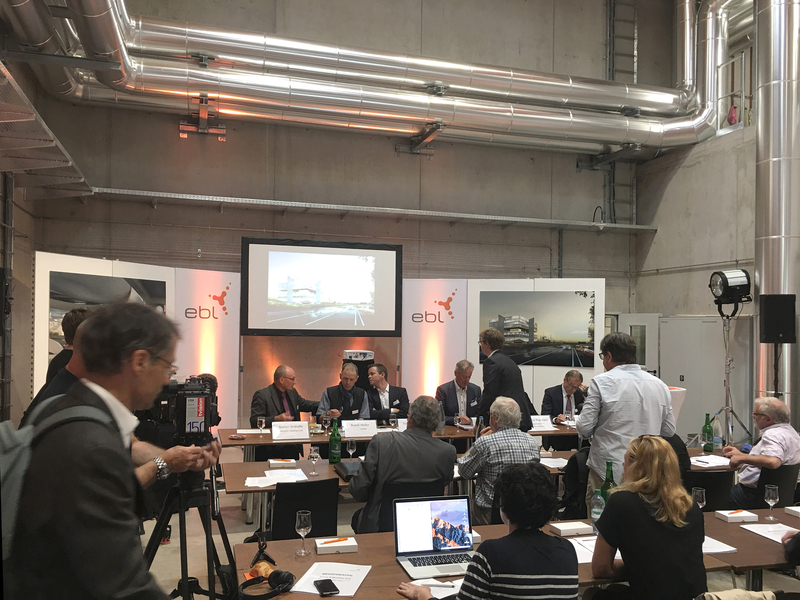 We are developing the Swiss E-Mobility Hub together with the Genossenschaft Elektra Baselland (EBL) in Pratteln. 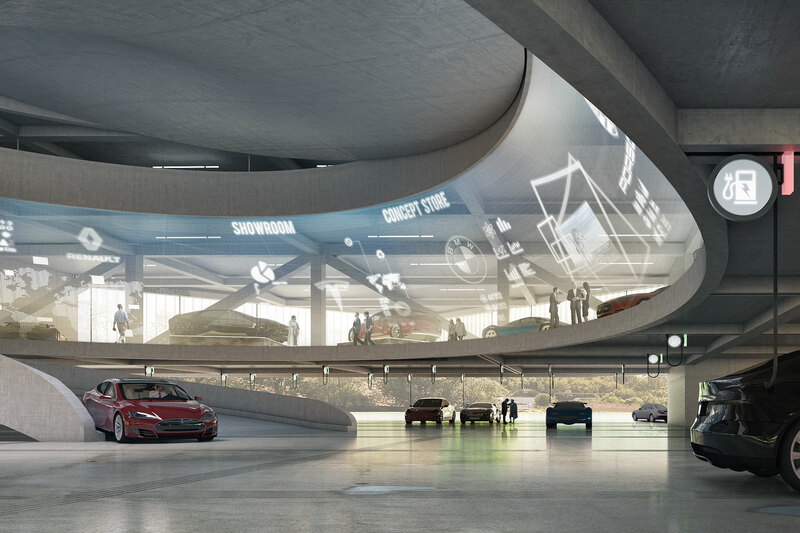 It is a modern innovation centre for electric mobility with the largest electric charging station in Europe. 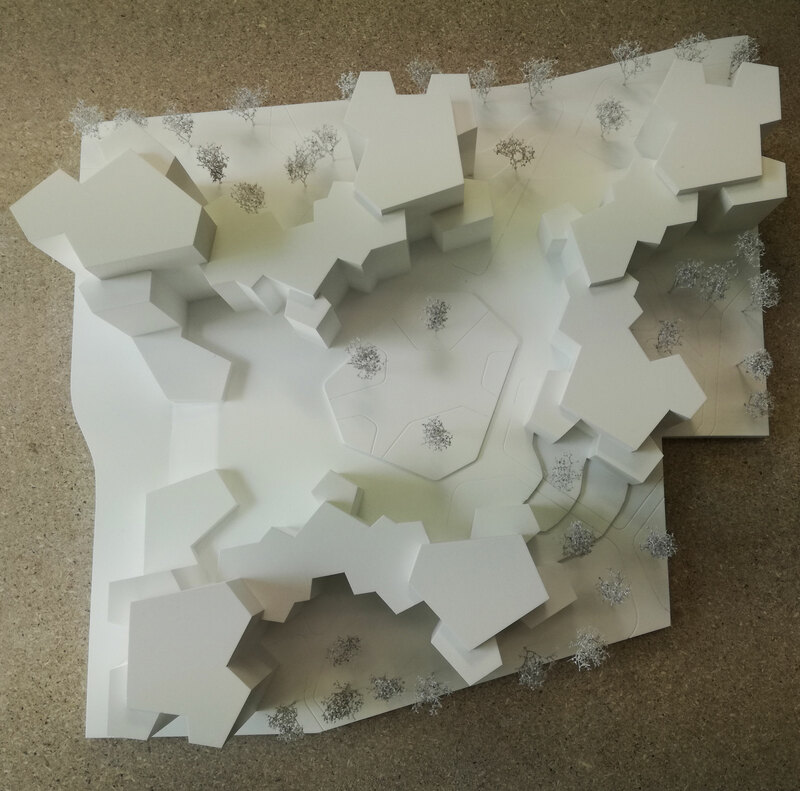 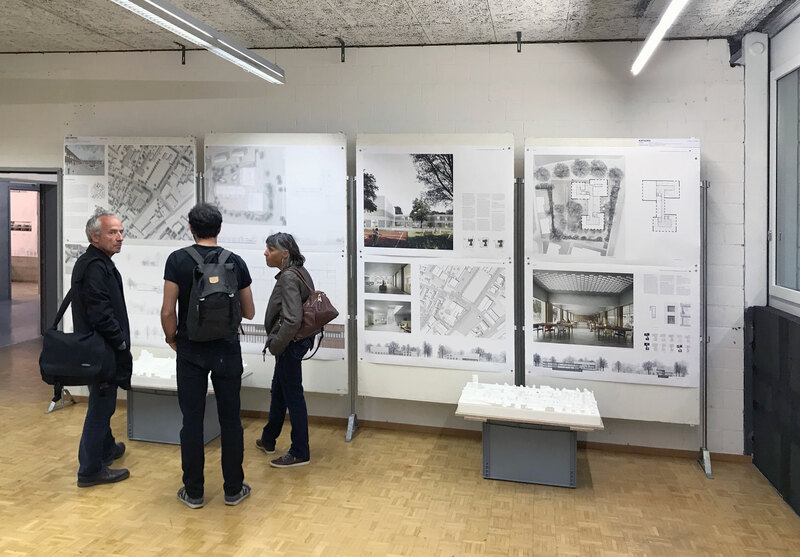 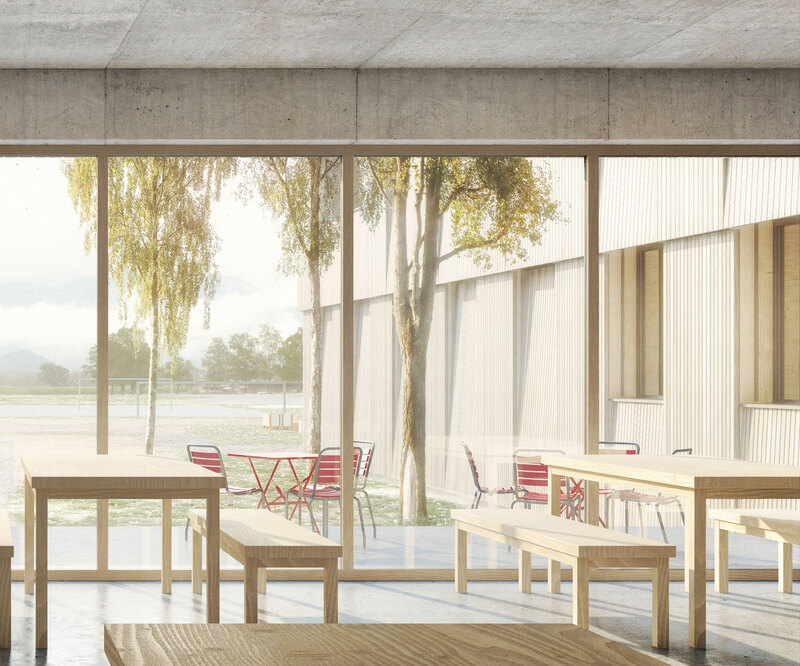 We are pleased about the fourth place of our projekt “Katsura” in the competition for a therapeutical school in Berne and congratulate the deserved winner. 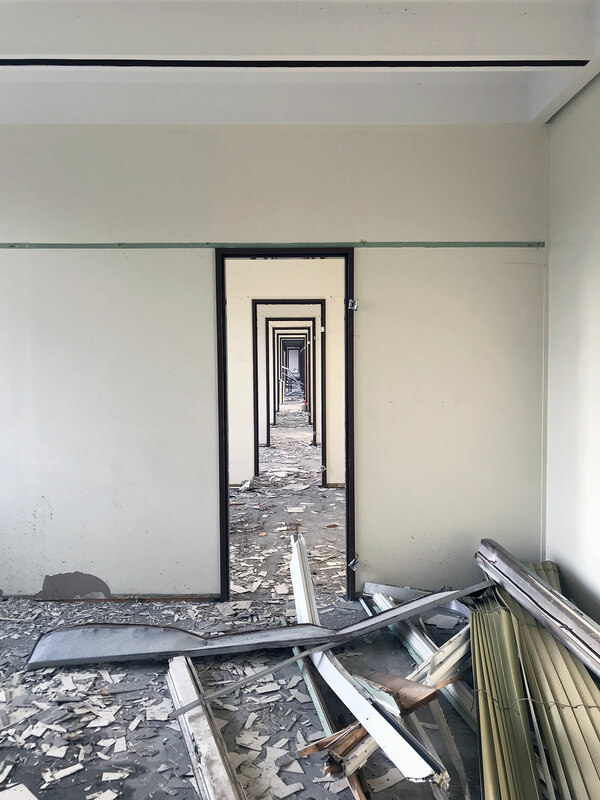 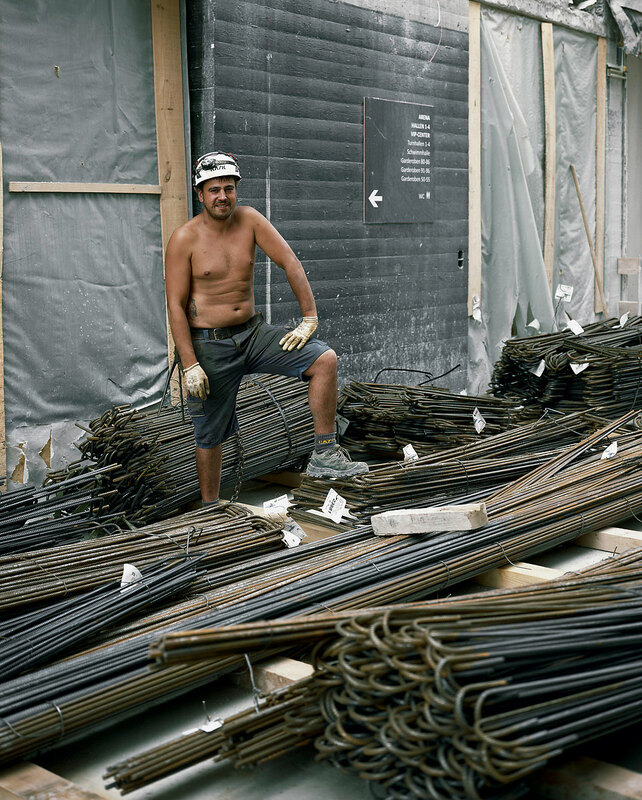 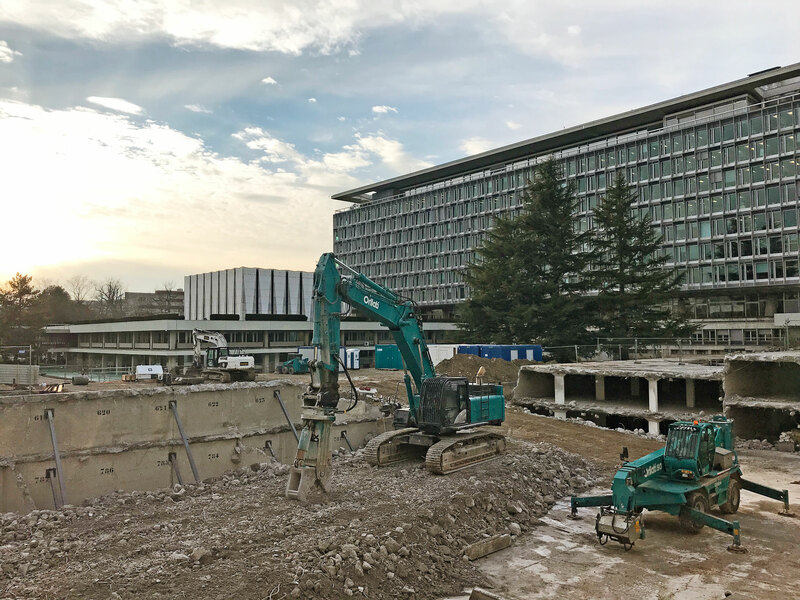 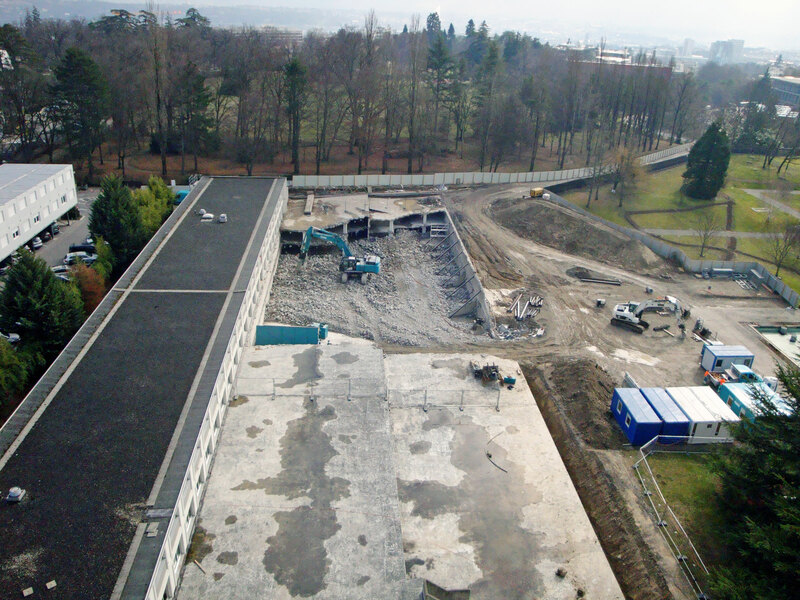 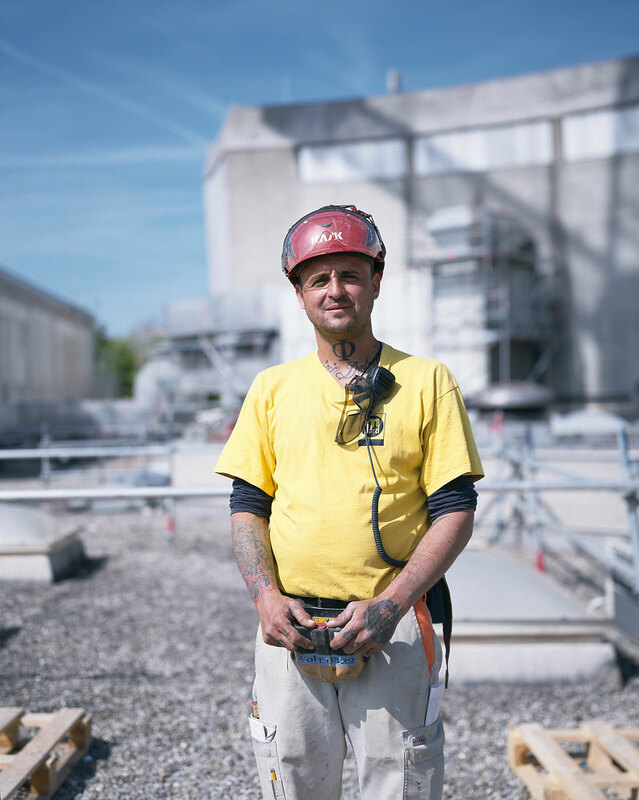 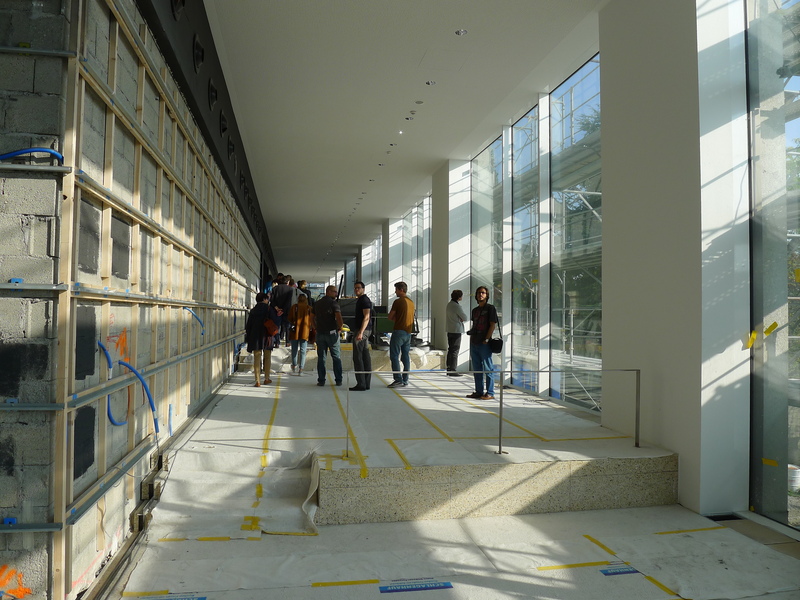 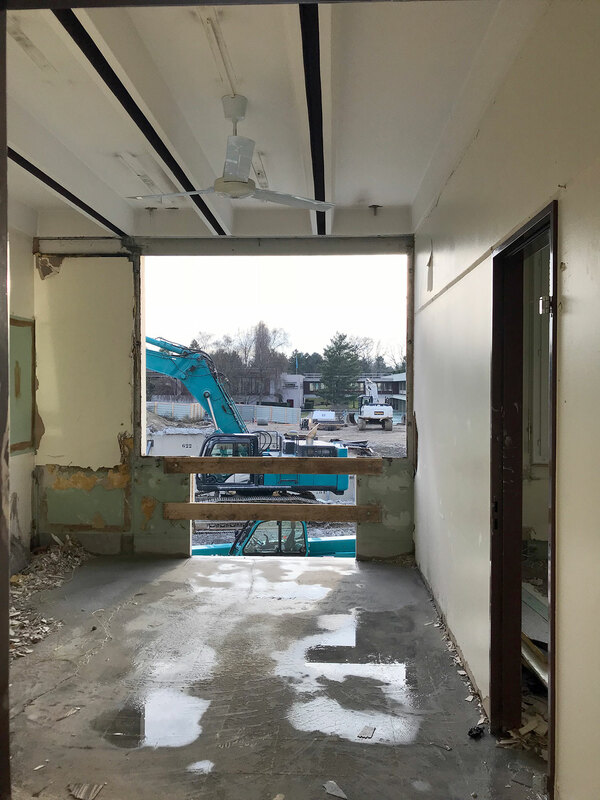 The old underground parking and a temporary facility on the site of the international organisation in Geneva are beeing dismantled in order to make space for the new construction. 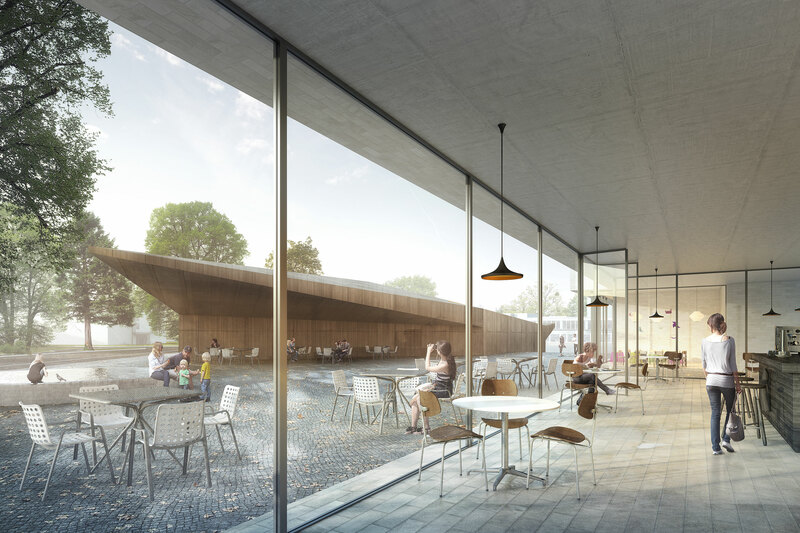 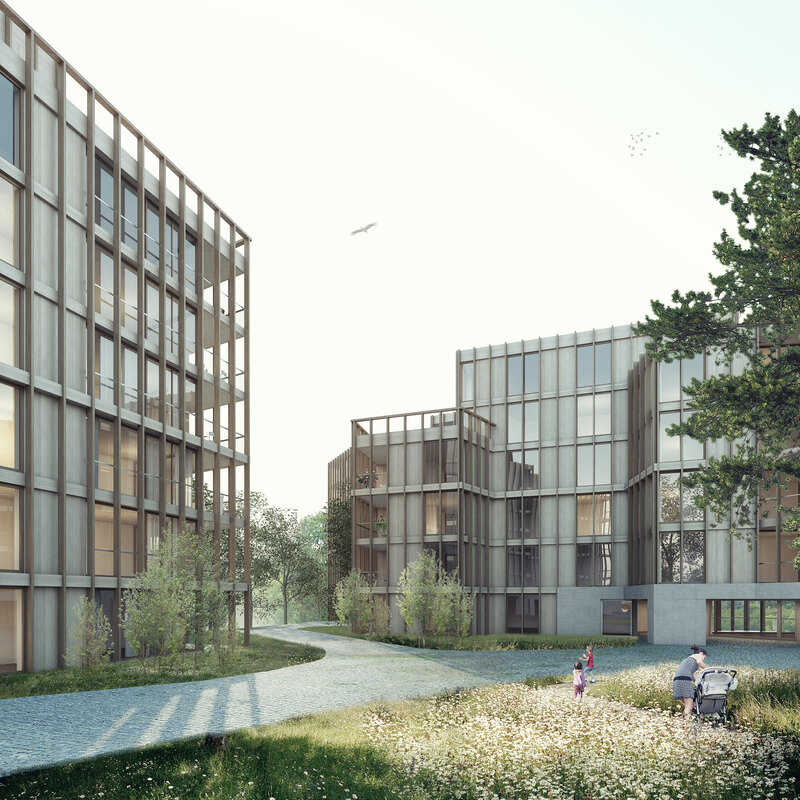 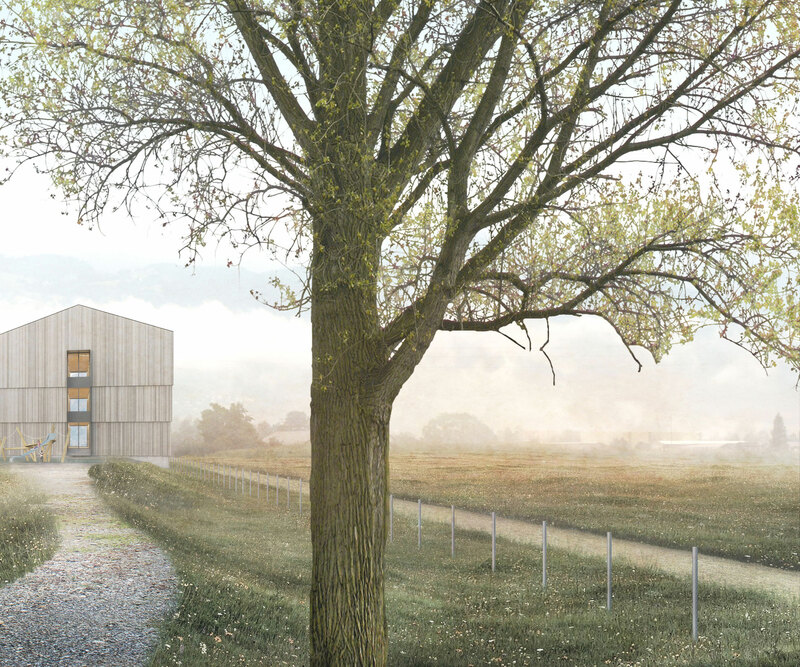 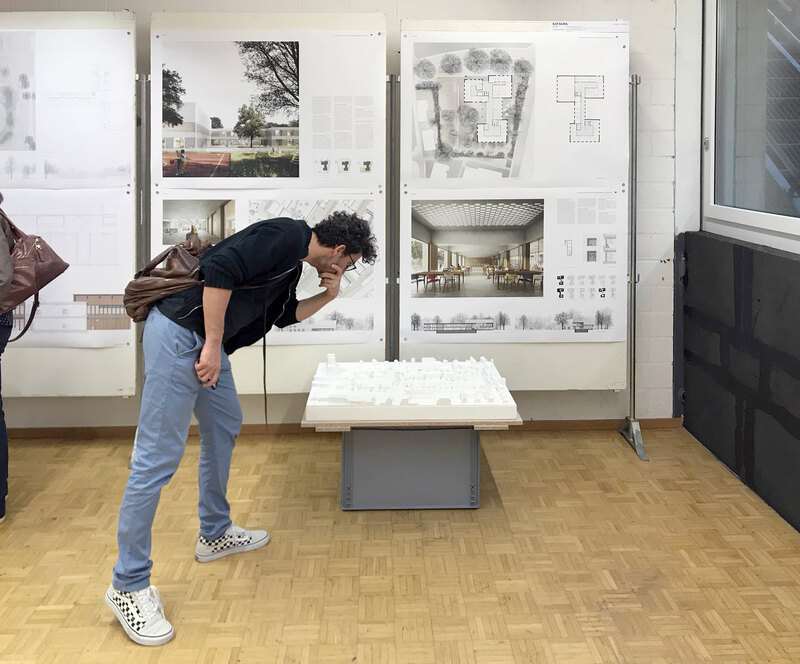 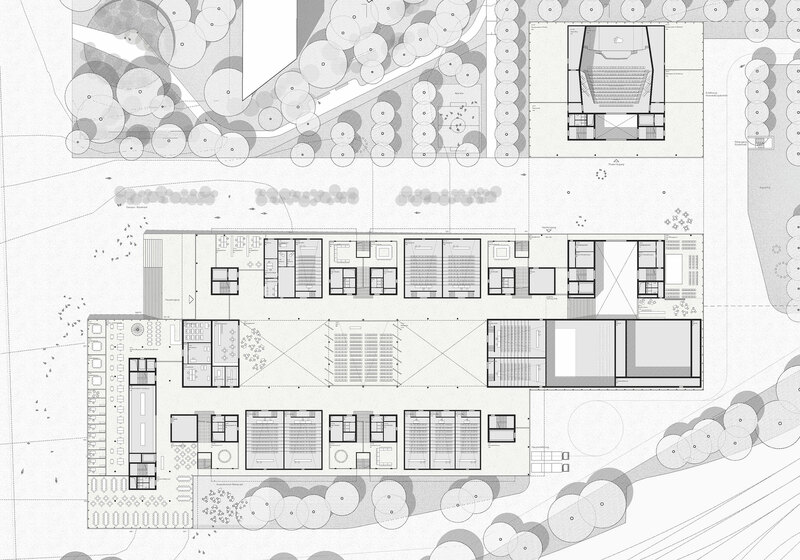 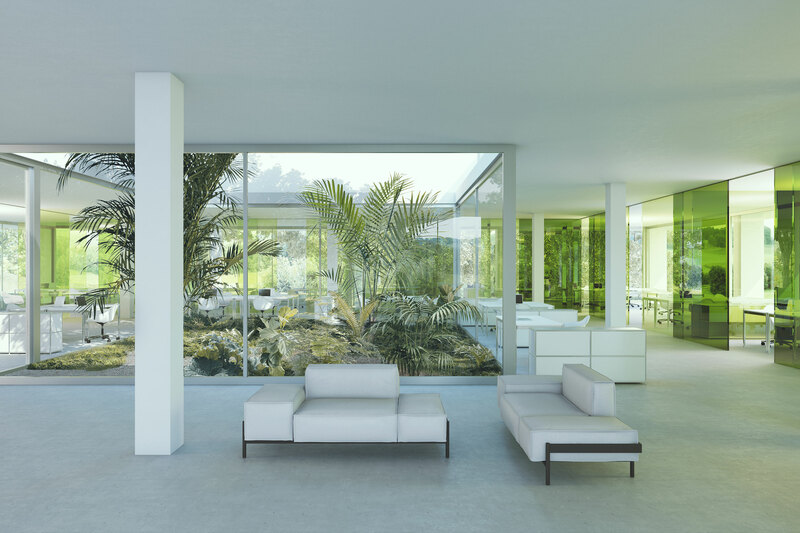 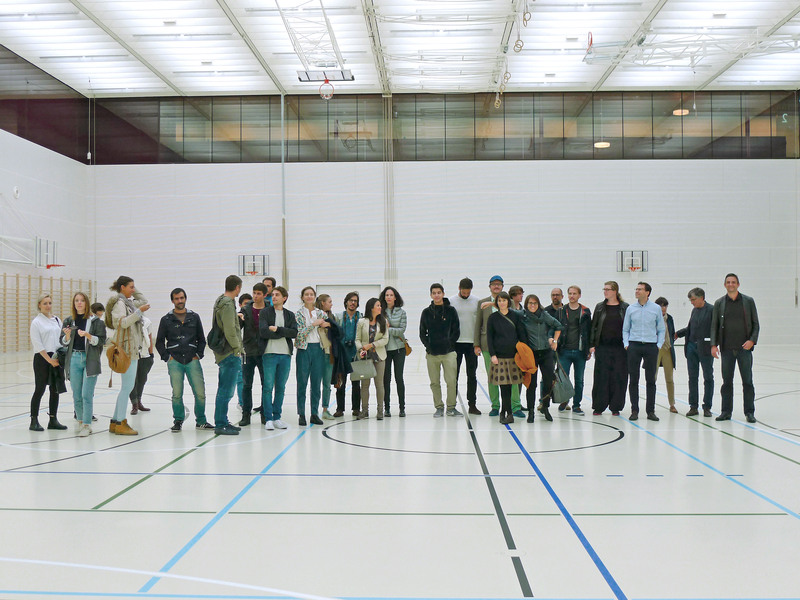 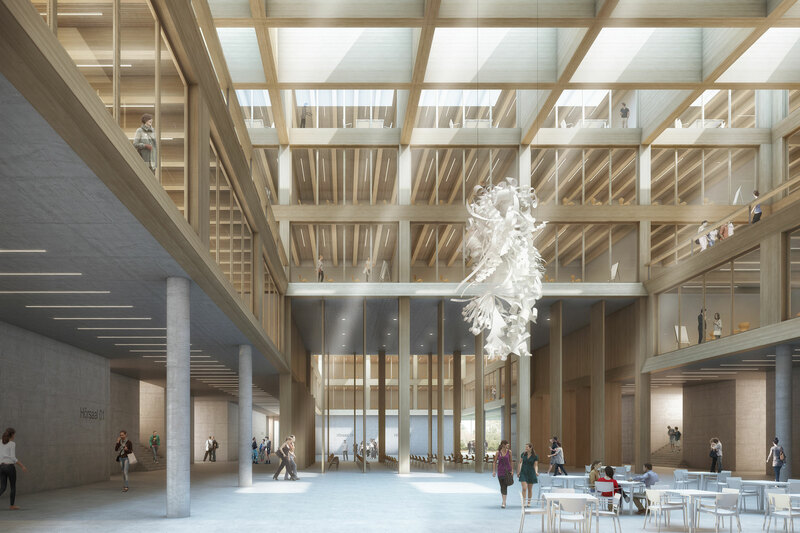 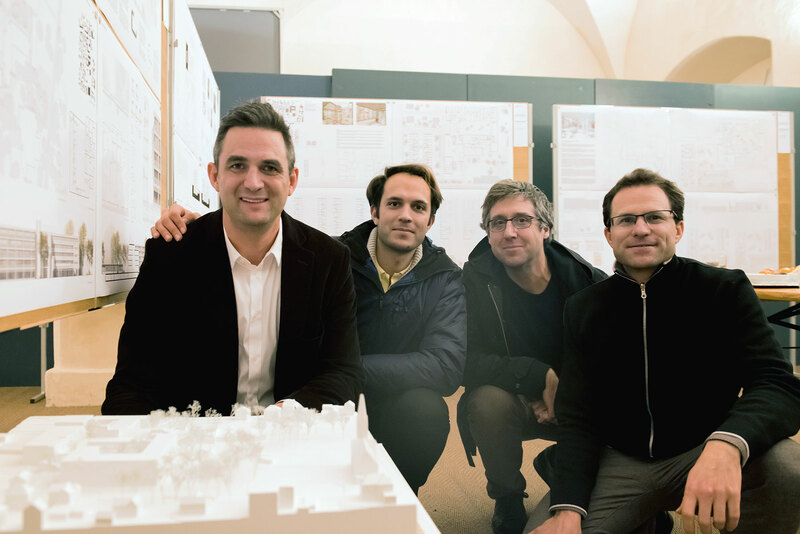 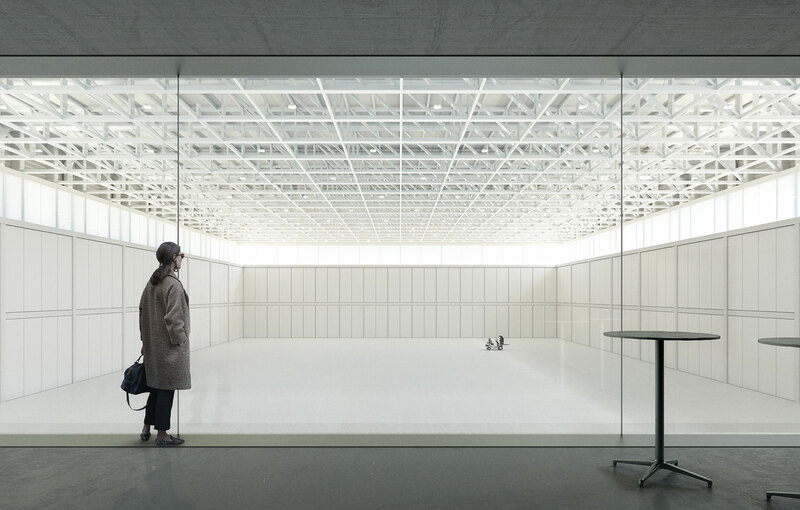 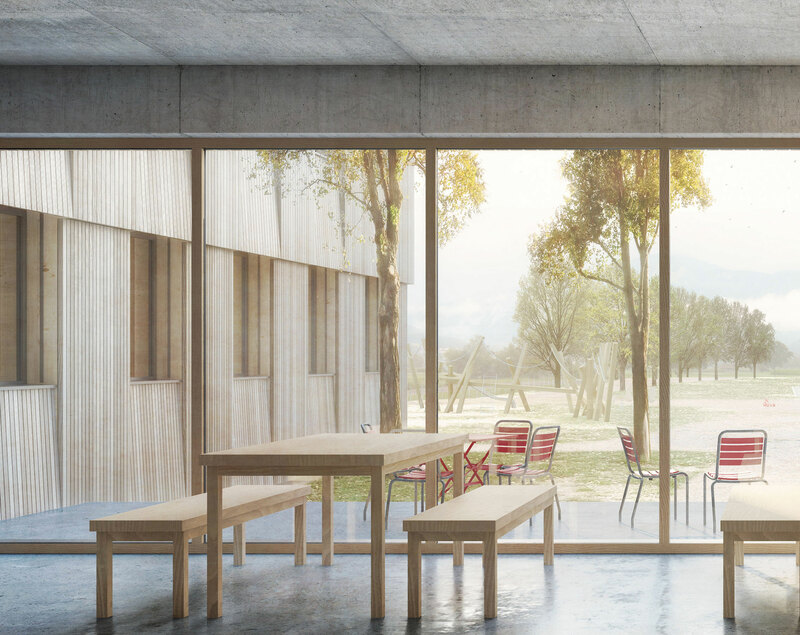 We are delighted that we won the competition for the extension of the centre for the elderly in Kreuzlingen. 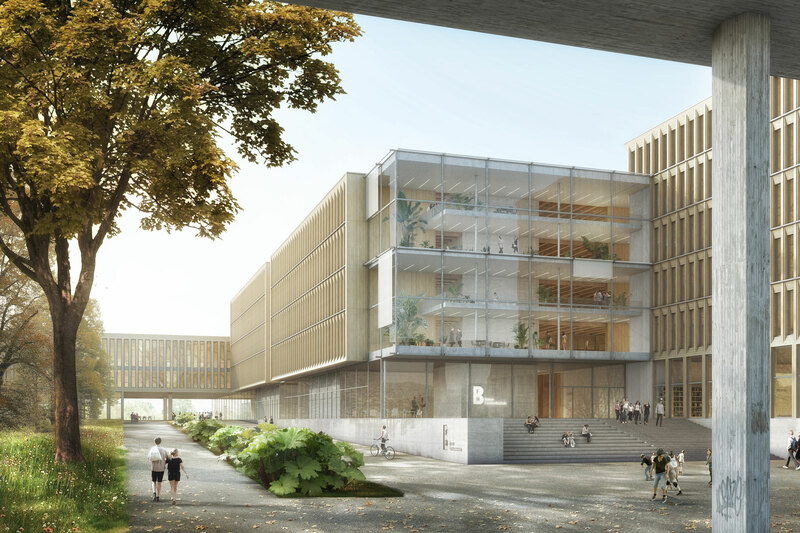 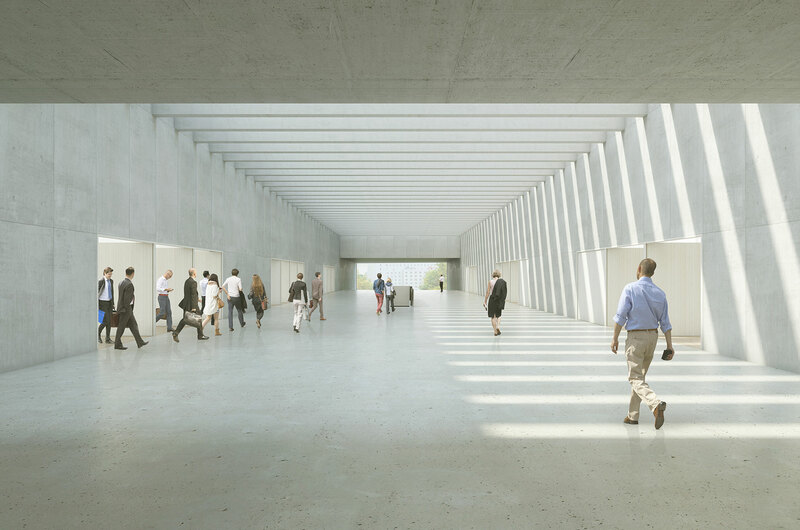 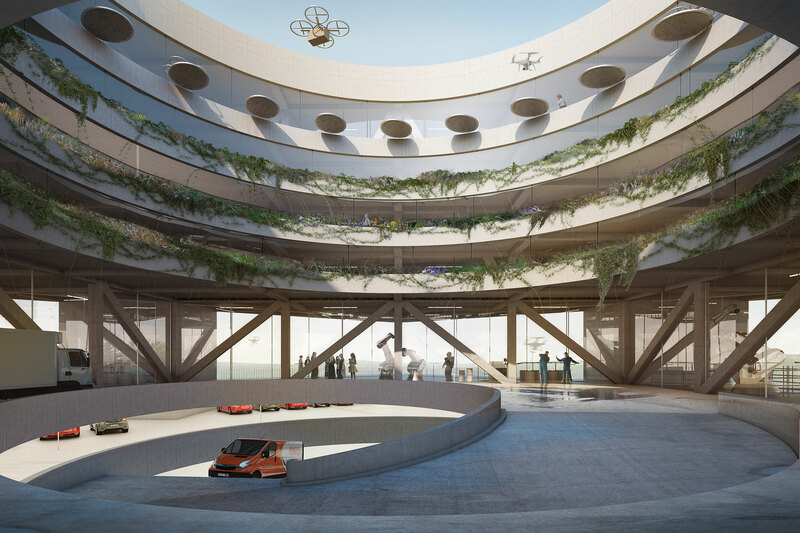 Our project “Agora”attained fifth place in the competition for a new multifunctional hall and congress center in Berne. 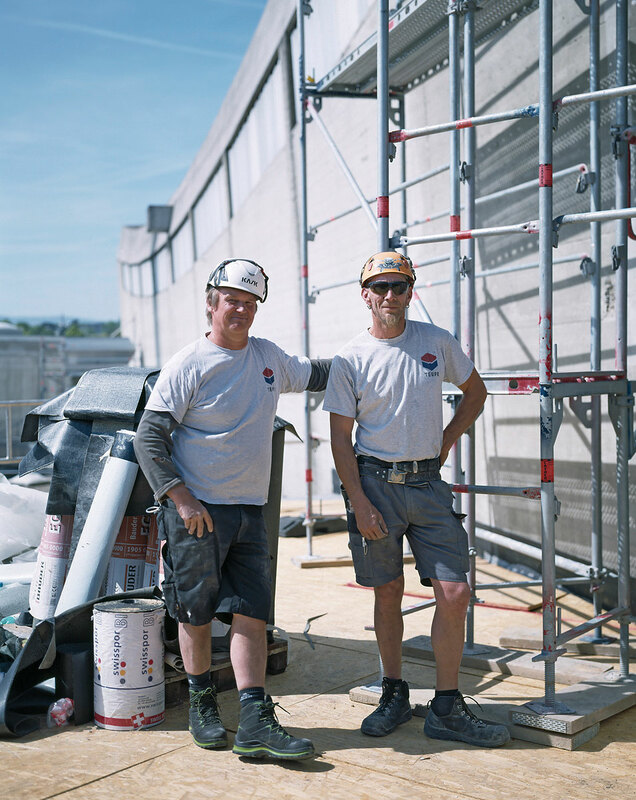 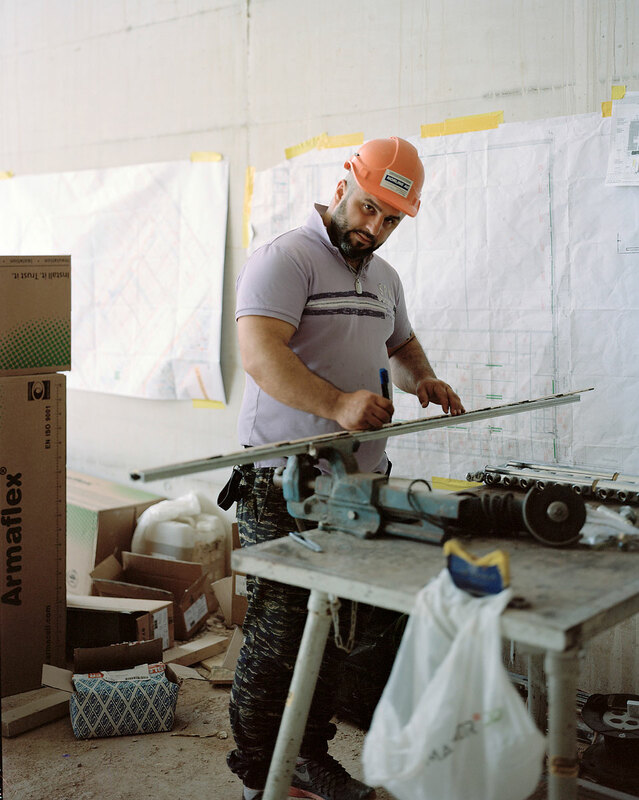 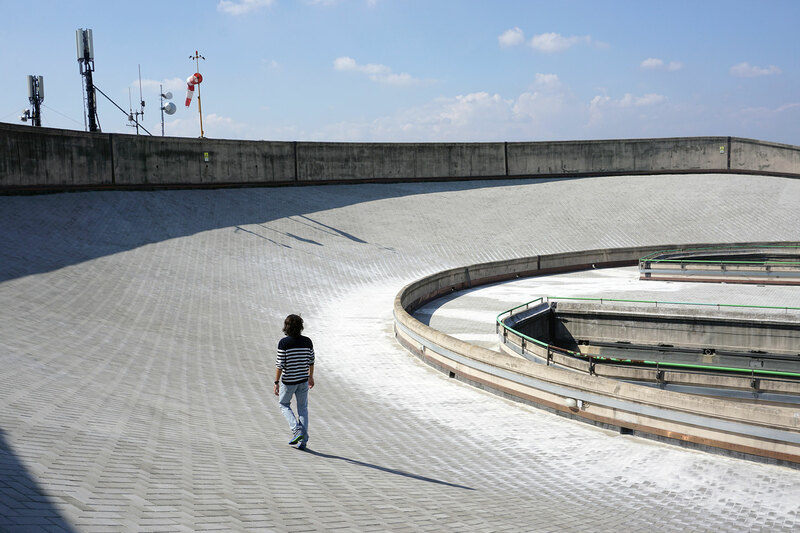 Documentation of the progress of St.Jakobshalle and the persons responsible by the photographer Barbara Bühler (http://www.barbarabuehler.com). 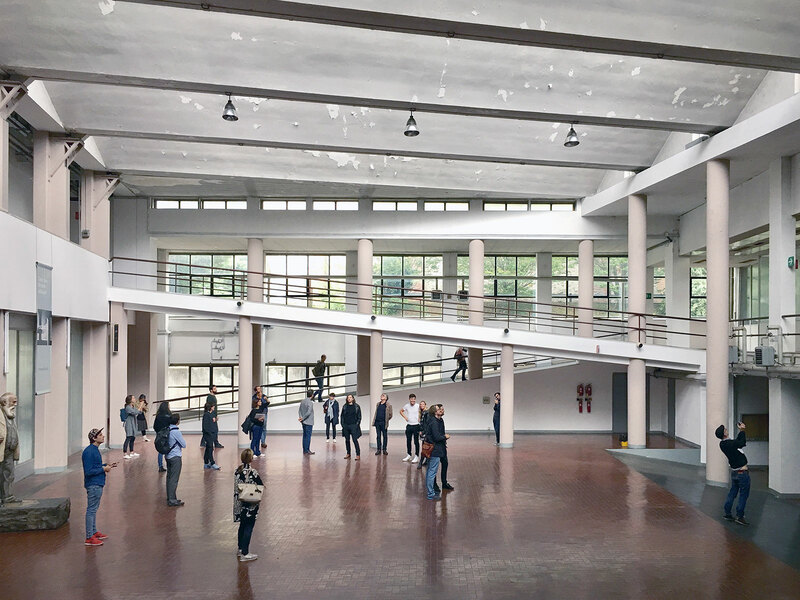 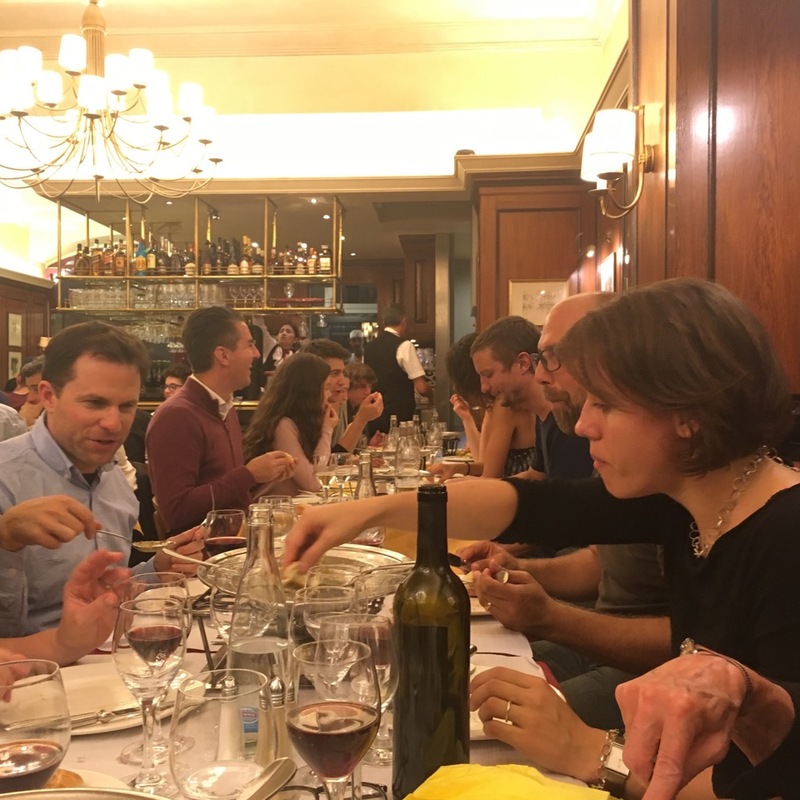 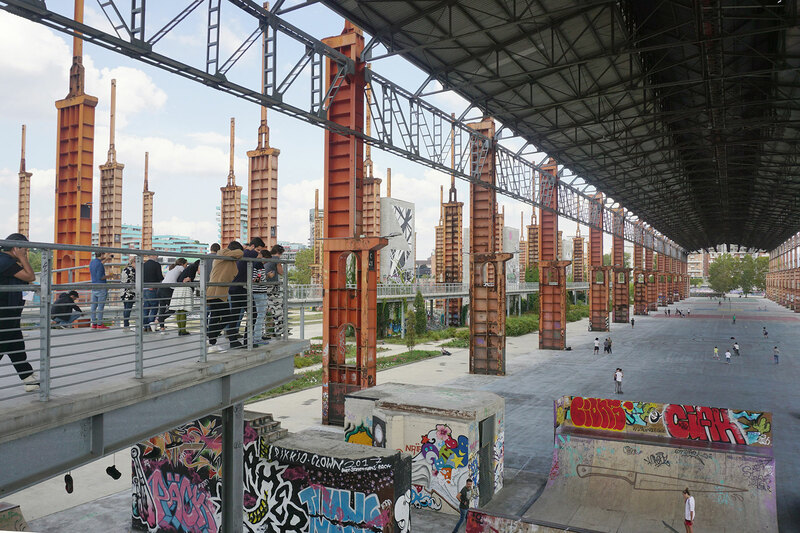 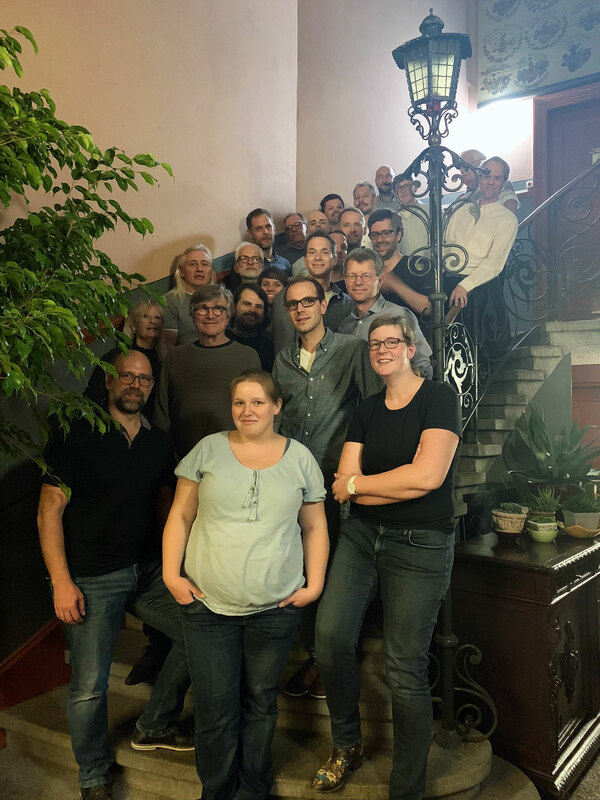 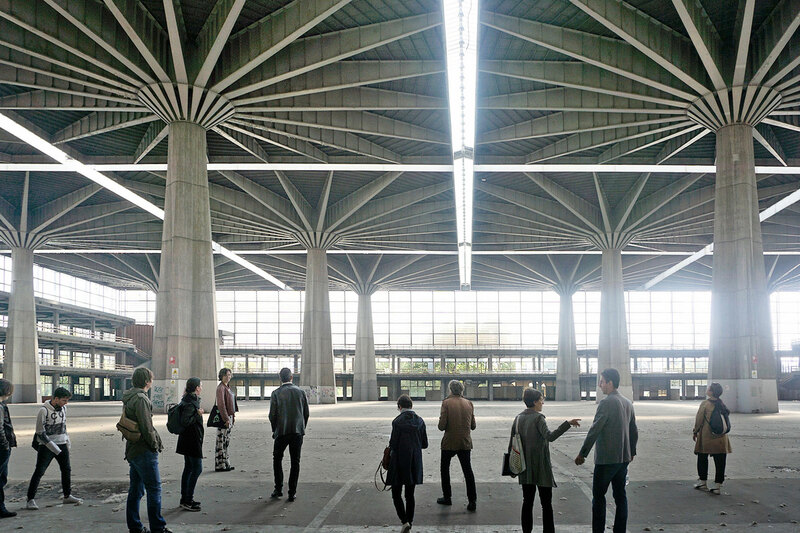 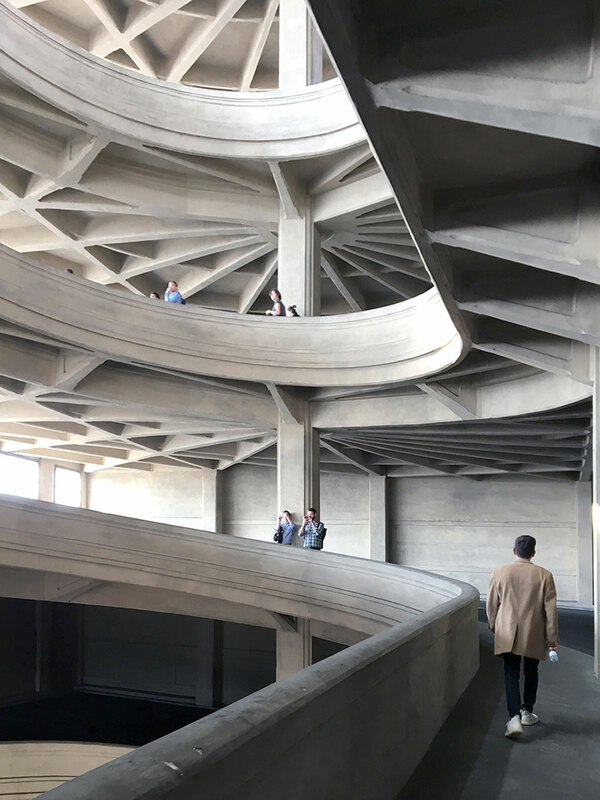 During three days, we travelled to Ivrea, Turin and Como visiting numerous buildings by Nervi, Matté Trucco, Piano, Figini & Pollini, Terragni and many more. 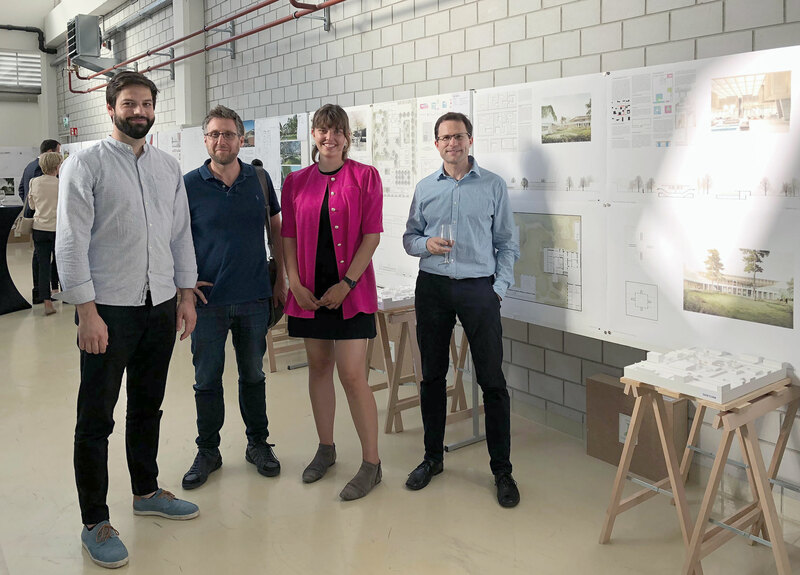 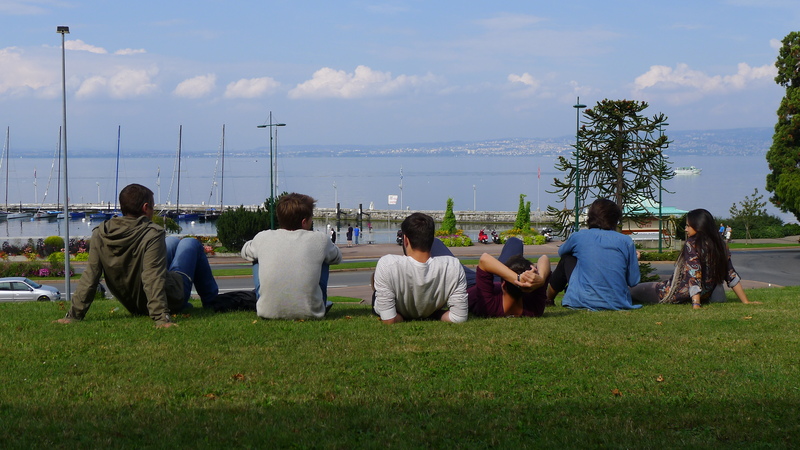 The office tour took us this year to the westside of Switzerland and abroad: Ittigen, Vouvry, Evian, Geneva, Biel and Basel.